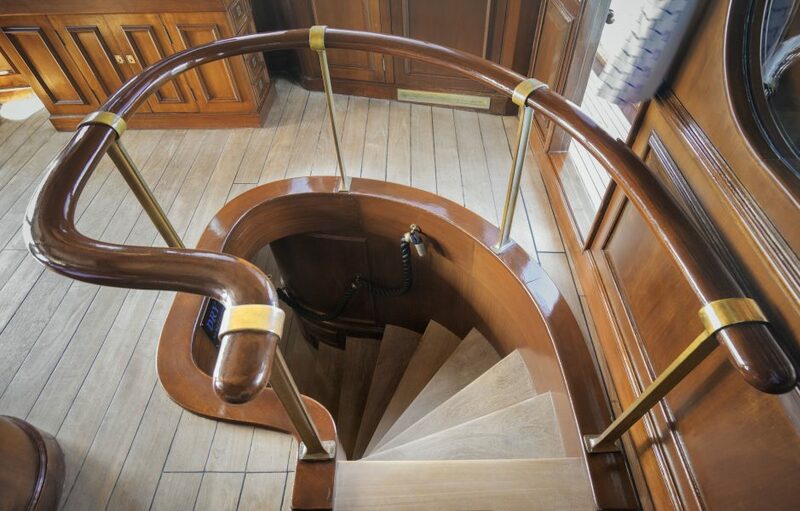 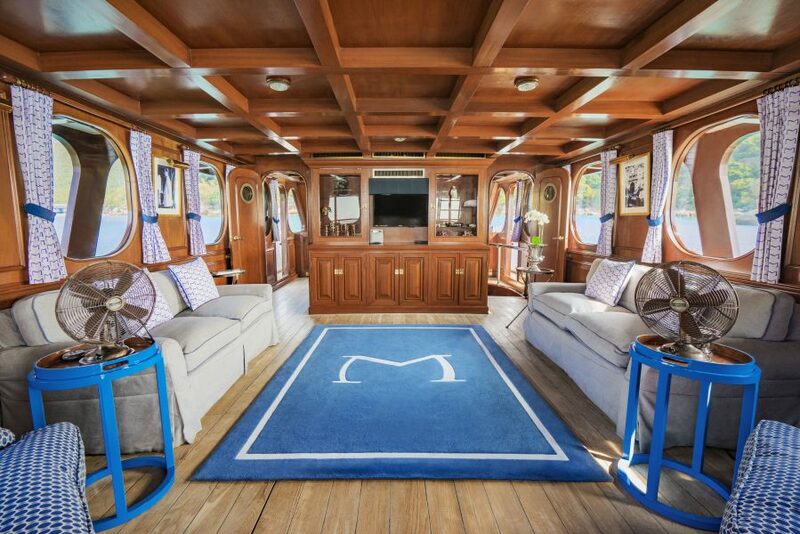 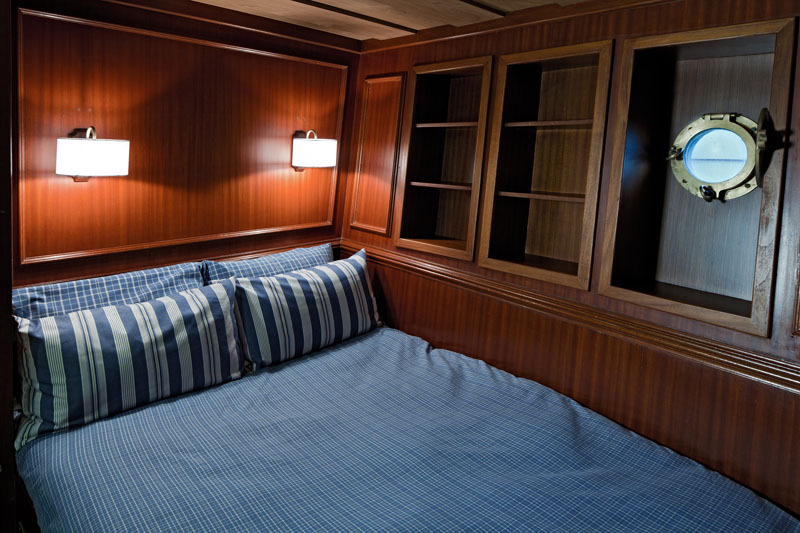 A meticulously restored 80ft classic mahogany and teak motor yacht, inlay with fine brass and copper details. 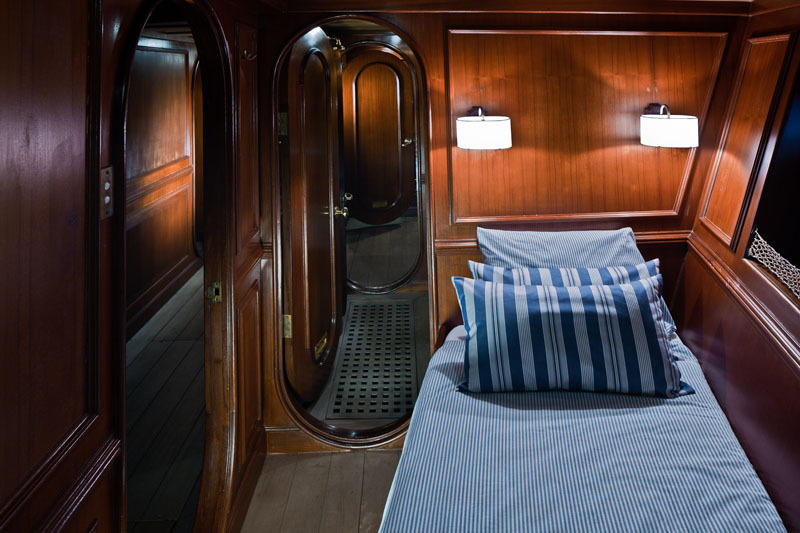 It measures 400 sqft with teak sun decks and mahogany interior it offers guests optimal comfort in style and can generously accommodate up to 59 passengers with ease. 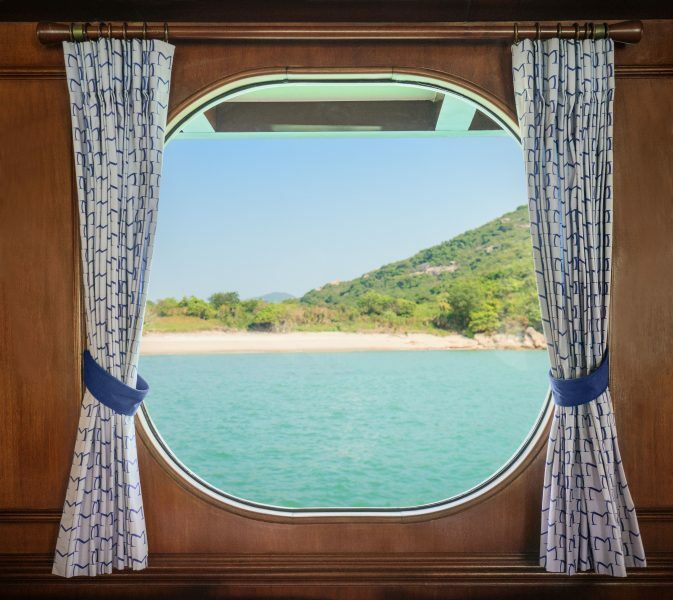 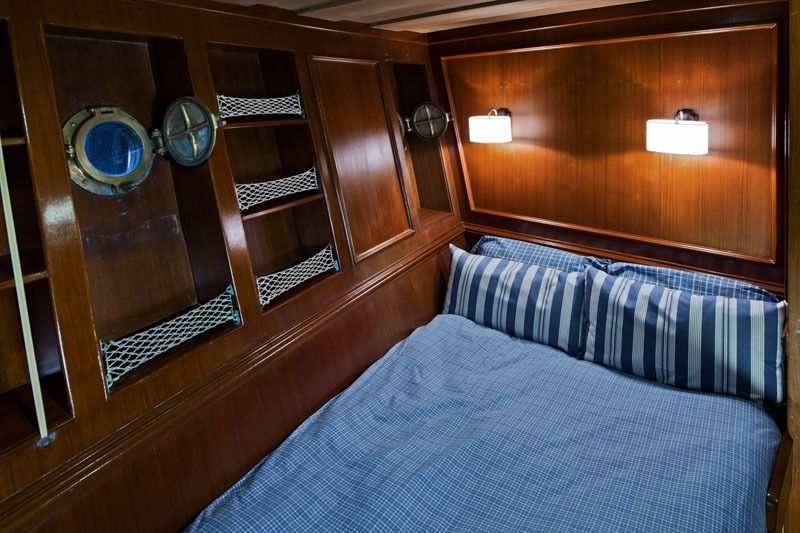 It has multi-zone air conditioning and heating to allow year round cruising and its lavish guest quarters provide endearing day trips or overnight stays. 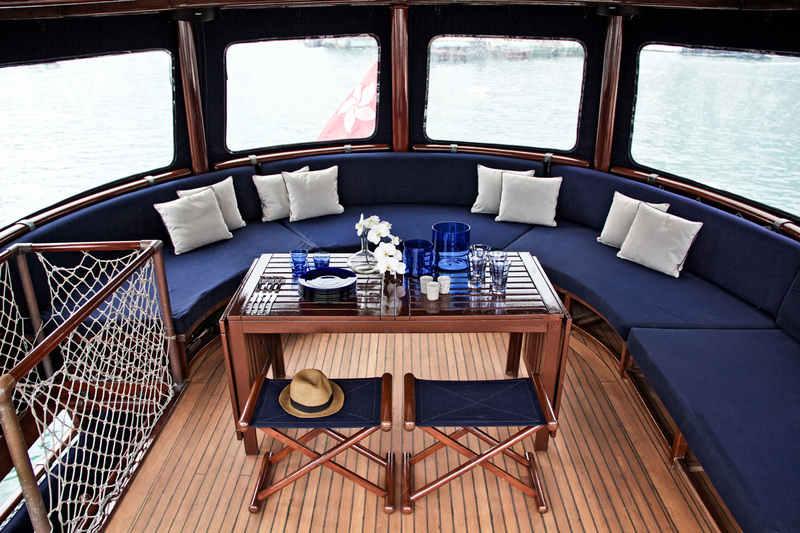 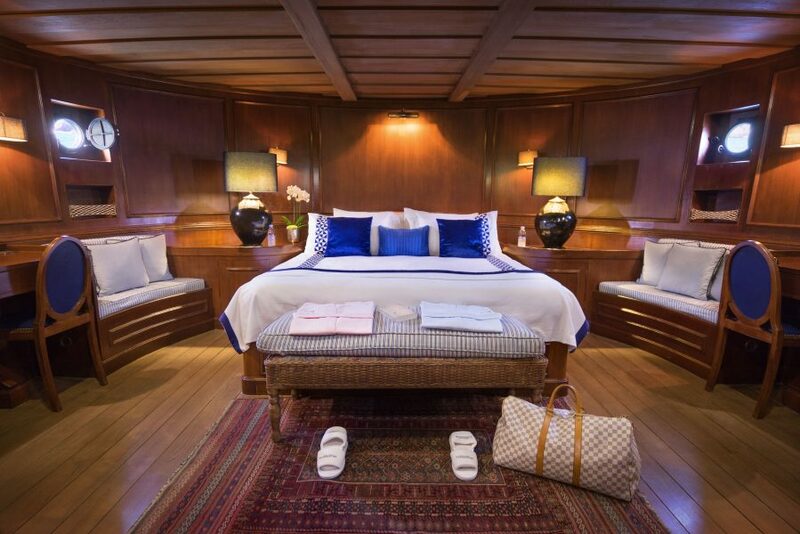 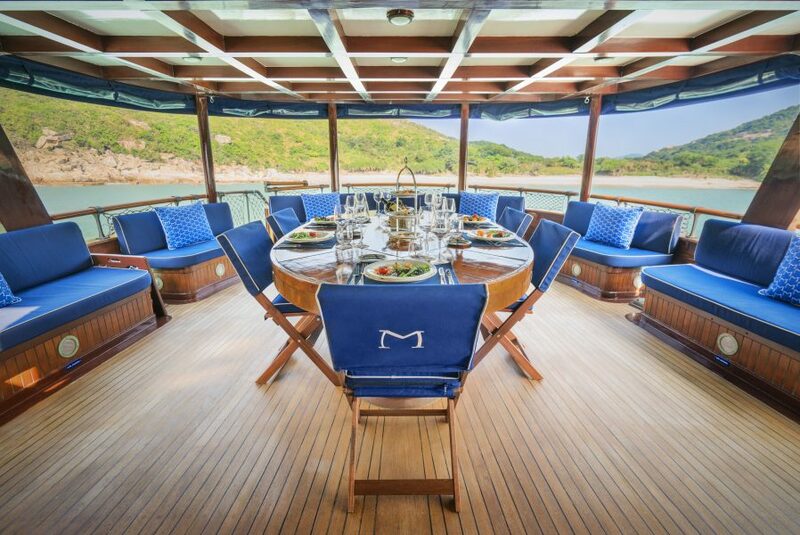 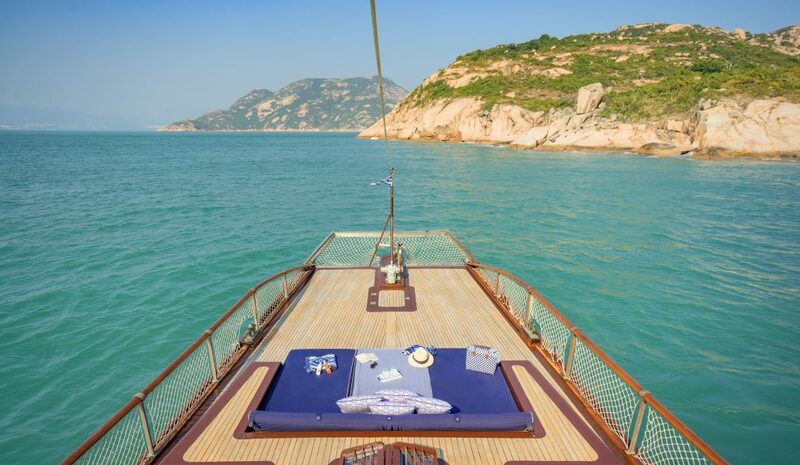 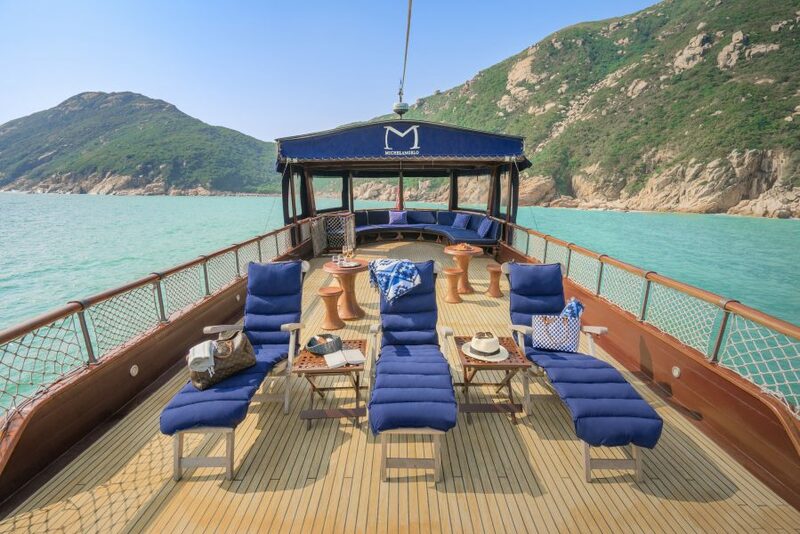 The sun and lounge areas have glorious teak sundecks with an undercover lounging area. 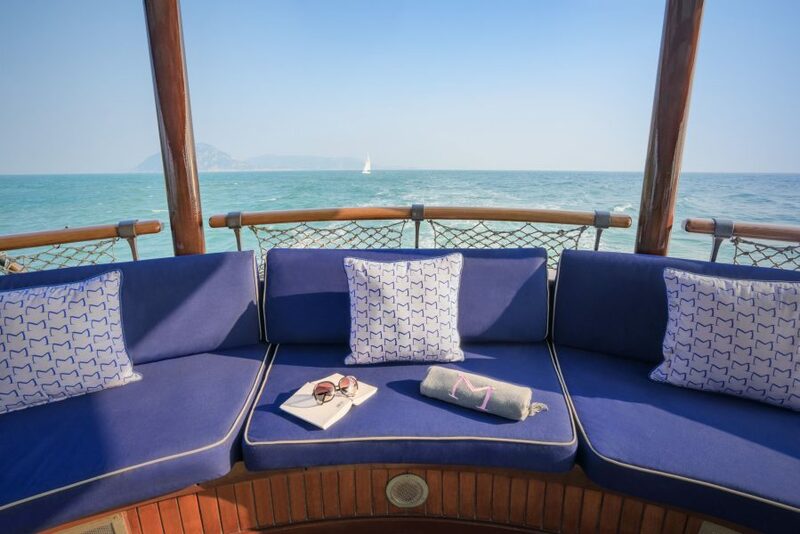 Relax and sunbathe on the large plush sunloungers or oversea hammocks and enjoy the undercover lounging area for el-fresco style dining. 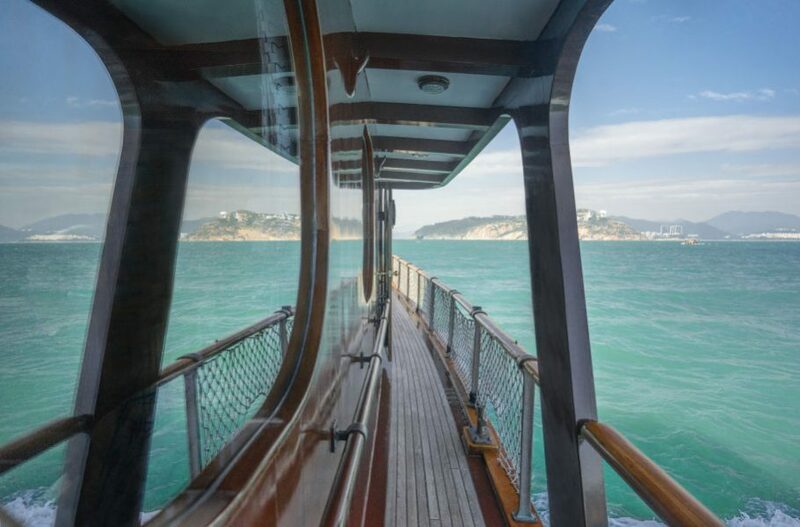 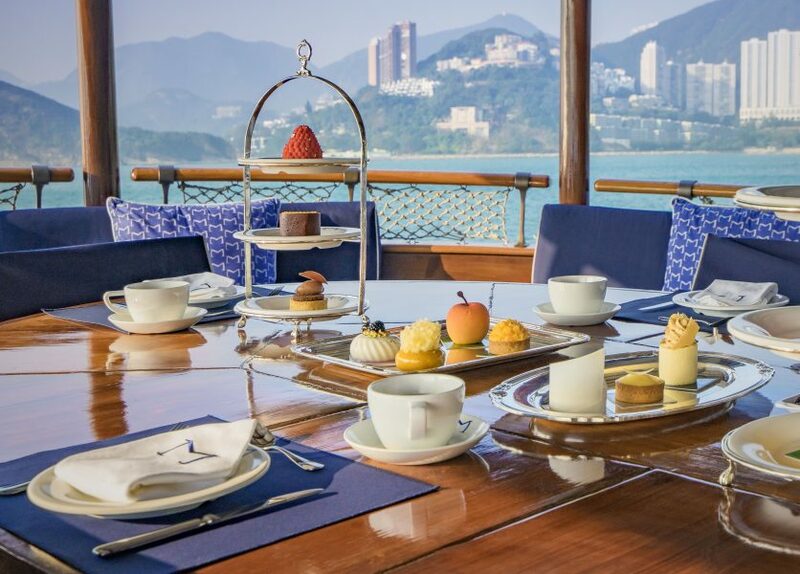 Large steamer chairs overlook the bow and offer extraordinary unobstructed views the scenery. 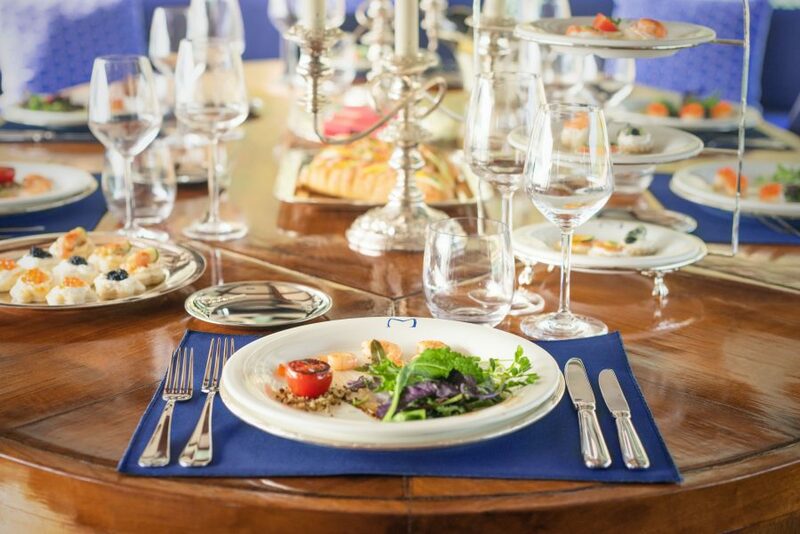 The reception and dining area offers elegant seated dinners of up to 12 guests and is enclosed by the surrounding banquette seating area. 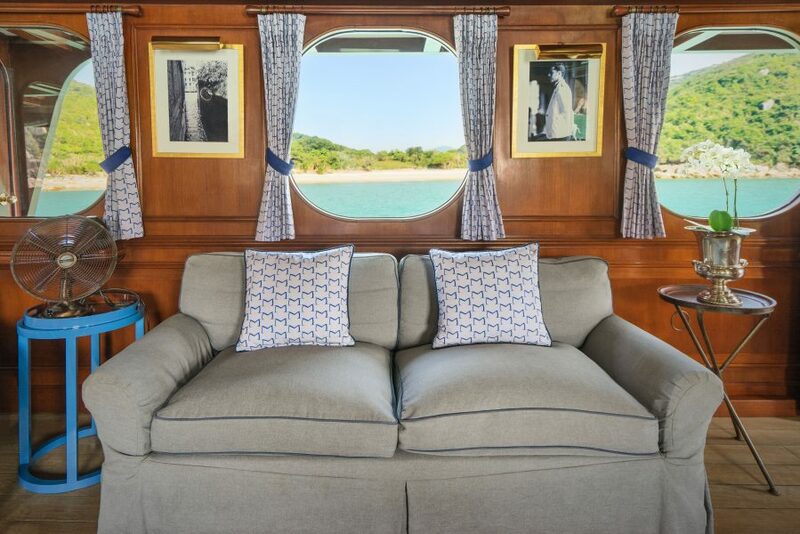 The living room is furnished with congenial sofas and arm chairs. 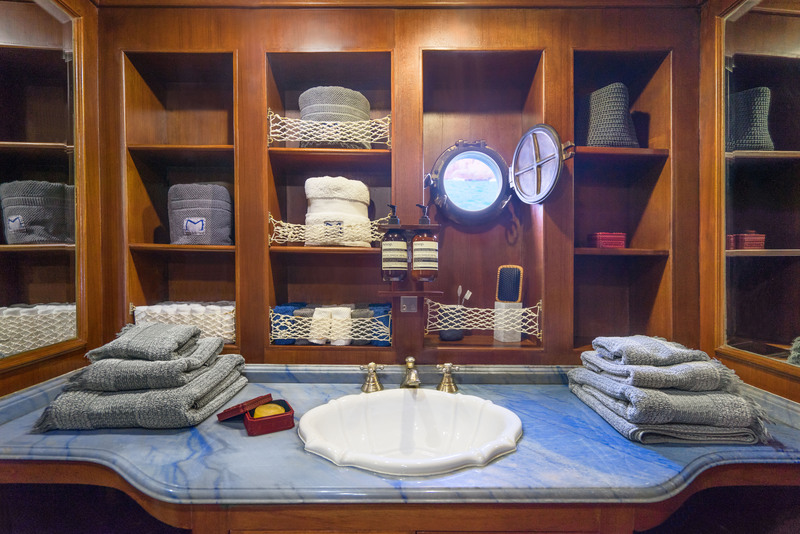 The living quarters will invite you to retreat to the extraordinarily beautiful master cabin adorned with a Ralph Lauren linens and a king sized bed, walk in closet and a complete bathroom. 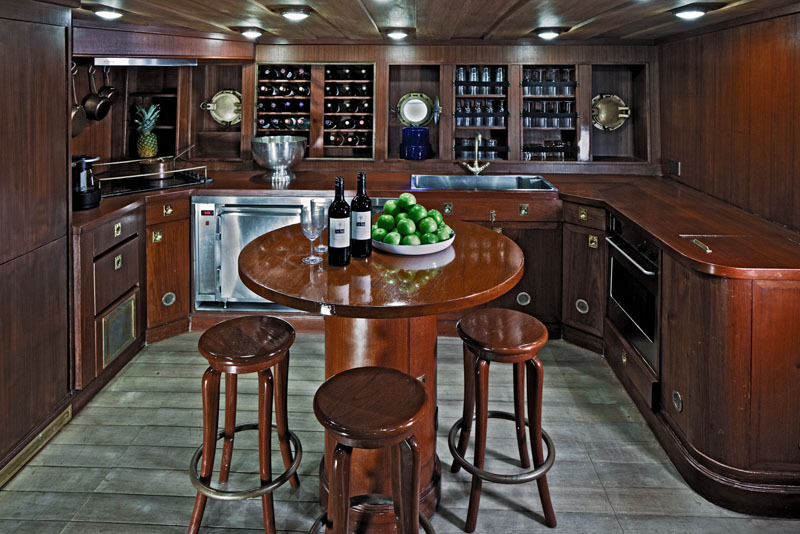 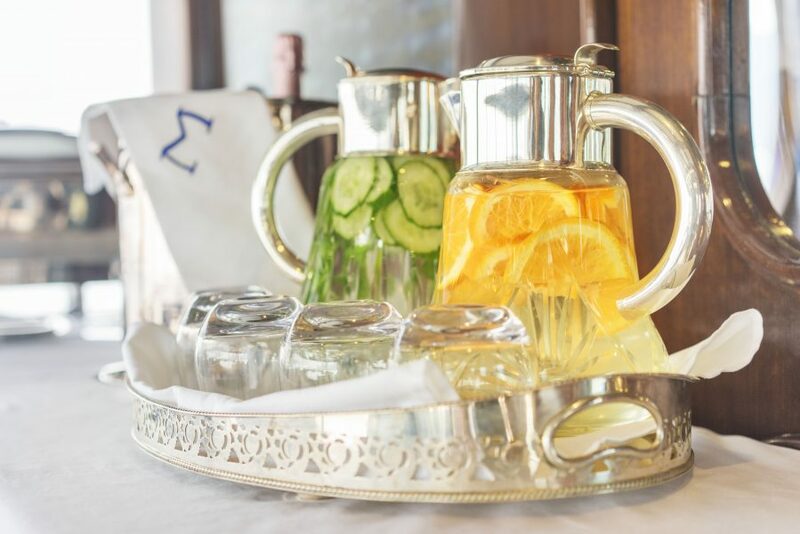 It also boasts a fully equipped catering kitchen and espresso bar for your optimal enjoyment.